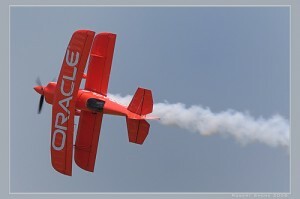 For a DBA, starting up and shutting down of oracle database is a routine and basic operation. Sometimes Linux administrator or programmer may end-up doing some basic DBA operations on development database. So, it is important for non-DBAs to understand some basic database administration activities. In this article, let us review how to start and stop an oracle database. Typical oracle installation will have oracle as username and dba as group. On Linux, do su to oracle as shown below. Make sure ORACLE_SID and ORACLE_HOME are set properly as shown below. You can connect using either “/ as sysdba” or an oracle account that has DBA privilege. Good article – simple and nice. Good article. Very precise. Thanks! what mean this error ? nice and working excellent on me..
Can you please share PFILE & SPFILE paths. Can the oracle instance be restarted using Crontab? 2. How I log table. Ora-01090: shutdown in progress – connection is not permitted. Your articles are very easy understanding and pretty straight forward. Suggestion from my end is that better to update the few articles depend on current stuff and advanced changes. Like, Now we have 4th type of shutting down the DB, which is “shut transactional”, if possible.